Welcome to Scandic Sunnfjord, the hotel that has won the award for the county's best hotel breakfast in 2018! Come and enjoy! Here you also can arrange your next meeting or conference in our spa hotel in the middle of Forde. Enjoy a nice dinner in our restaurant, perhaps after a visit to the spa or a workout. You will be close to attractions, glaciers, fjords and beautiful landscapes. Scandic Sunnfjord offers spa facilities and unique Norwegian nature. 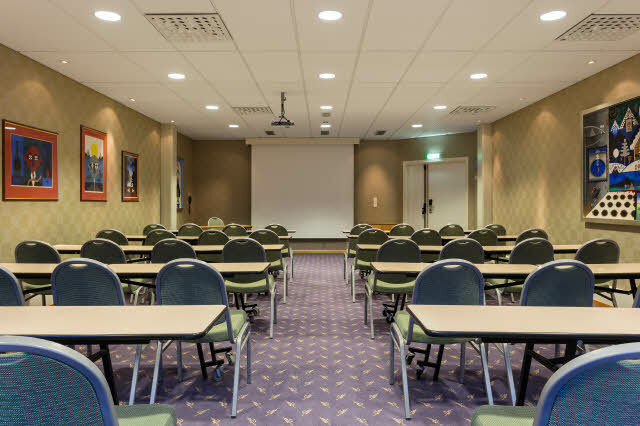 Organise your next conference in Forde, where you will have access to flexible meeting rooms with a capacity for 2-450 participants, divided between 16 meeting rooms. Enjoy a nice dinner, after a long day in meetings, at restaurant Laxen, and enjoy good music in an informal environment at our bar. The hotel offers big rooms, and free parking for guests arriving by car. Free WiFi is offered to all hotel guests. Our hotel in Forde is located in an area famous for fjords and beautiful landscapes. When you stay at Scandic Sunnfjord, you will have easy access to excursions to glaciers, fjords and islands. If you want a trip out in nature, you can get up to 700 metres above sea level from the city centre in just 55 minutes, or take a walk in the park only 3 minutes from the hotel. Only 5 minutes away, you can go shopping, and only 20 minutes away by car, you can experience Jolster, which offers beautiful mountains, waterfalls and lakes. 20 minutes from Forde airport. Reward yourself with a wonderful spa experience.